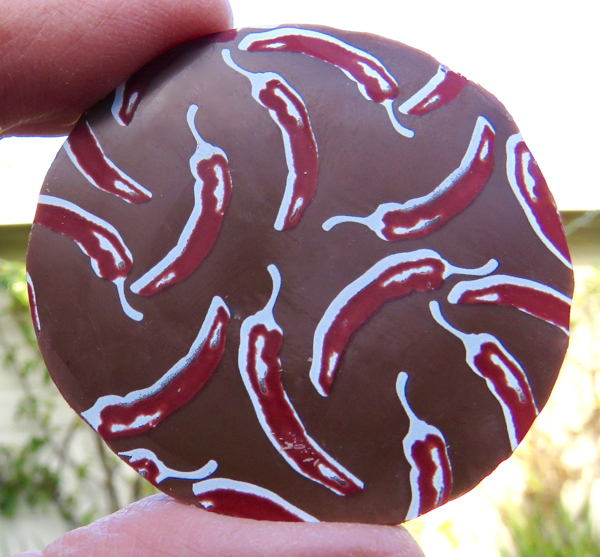 Bienvenidos (Welcome) to Day #3 of Chocolate and Chilis Theme Week. 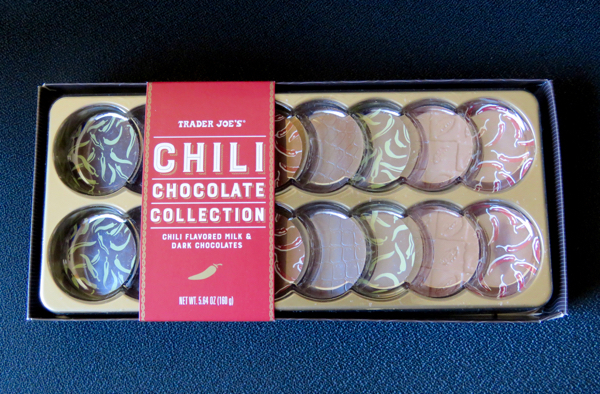 Today's Milk Chocolate Habanero round was part of a Chili Chocolate Collection* from Trader Joe's (Monrovia, CA). Covered in milk chocolate (decorated with red peppers), the dark chocolate ganache (filling) had caramel overtones and a restrained amount of habanero chili/chile. 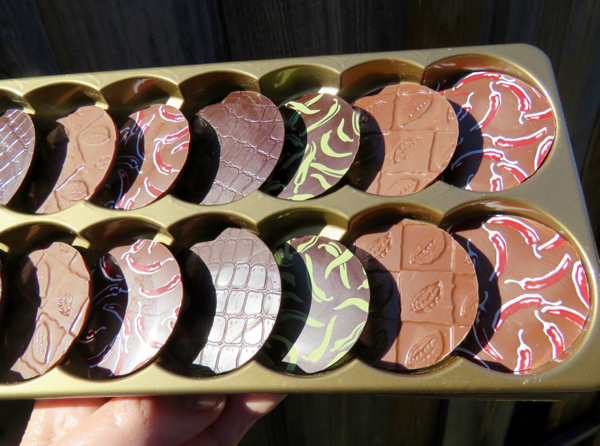 *This collection or assortment of milk and dark chocolate discs were filled/infused with four different chili/chile flavor fillings.